As a car owner, you always want to see your car shining! That is why one will be hurt to see cracks on the exterior or interior of his or her vehicle. Unfortunately, harsh Canadian winter can do such damage to your ride. We know that winter comes with lots of driving challenges. But it’s now clear that it also causes significant damages to the vehicle which might cost you a lot of cash. If you have been driving in Canada for quite some time, you know what we are talking about here. Adverse winter weather brings bad elements such as road salt and dirt that can wreak havoc on the paint finish of your vehicle. You will have to some repair. Sometimes you may even find that the damage is irreparable. Winter salt can cause irreversible damage to your car exterior and interior. Isn’t that hurting? Of course yes, no one would want to go through such an experience. Keep in mind that worn out paint is not only unattractive, but it can also lower the value of your vehicle when you want to trade in or sell it. We know it’s a real problem in Canada. Many drivers have come to us complaining about this issue. 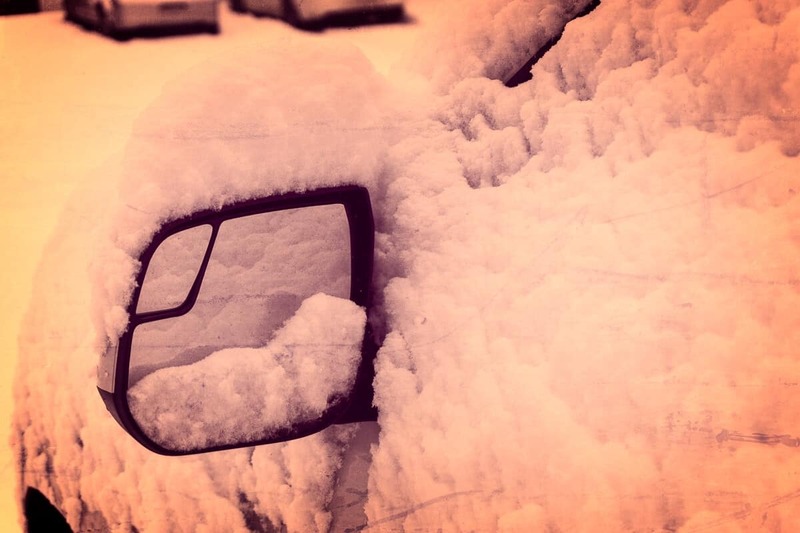 Obviously, we would like to help you protect your car in winter. Therefore, we found it necessary to share some of the tips that can help you protect your vehicle from the damages caused by harsh winter. To protect your vehicles’ interior from harsh winter elements, you must have quality rubber car mats such as X-act Contour Series. Slush that contains corrosive winter salt will melt off your shoes and stain your carpet. Scrapping out those stains would be difficult. In the end, winter salt will rot out floorboards. Winter floor mats made of rubber, and customized with high sidewalls are the best. It can be quite expensive to purchase rubber mats from an OEM dealership. If your budget is limited, you may go for aftermarket custom fit mats such as WeatherTech since they cost less than OEM. While the generic fit mat can keep the bulk of the slush off your carpet, they don’t cover the corner spots. There are quite affordable compared to custom fit mats, but don’t offer maximum protection. For many people, a vehicle is a major asset. So, it requires adequate maintenance to ensure good performance, appearance, and reliability during your ownership years. On average, a Canadian owns a passenger vehicle of five to six years. Unless you intend to drive your car until it is time for the scrap yard, it’s always wise to consider its resale value. Appearance is the greatest factor that contributes to resale value. Any sign of winter rust will hurt the value of a car. Winter salt causes rust. To protect your car in winter, ensure that the body is oiled with a rust proofing spray each year. That is the best protection mechanism we recommend. 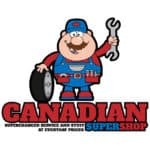 You can visit an auto shop such Canadian Super Shop to find experts who have specialized in rust proofing. The crust formed on your car when air and water combine eventually forms rust. Winter salts accelerate corrosion. Many people would think that fall is the right time of the year to oil a body of a vehicle. However, spring is the ideal time for the application – when there’s high fluctuation in the levels of moisture. That is the period when cars are very prone to rust. A light mineral-based oil that creeps into folds, door seams, weld spots and joints where rust usually begins is the most efficient rust-proofing product. You can apply an oil-based spray to a wet surface since it displaces moisture. If you combine this with a thicker gel type oil for the rocker panels, underbody, and wheel wells, then it’ll offer maximum protection against winter salt. You can also use rust proofing oil to protect your fuel lines, brakes, and electrical components against corrosion. Like winter salt, this oil application will not cause any damage to your winter tires. 1. Electronic rust inhibitors -is another anti-rust option sold in various auto shops. They’re costly and not efficient as oil sprays. Studies show that electronic rust inhibitors work well on boats and bridges, but none has proven their effectiveness on cars. If you want to maintain the excellent paint finish on your vehicle, then always stay on top of fixing scratches and paint chips with high-quality/original paint. 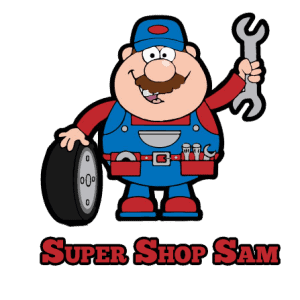 You can purchase them at auto supply stores and OEM dealerships. Any exposed metal forms surface rust, then blister and before you realize it will have turned a severe rust problem. If you notice any formation of surface rust, spray the area with Rust Check oil to prevent the rust from spreading. If you don’t treat your new car with a rust inhibitor, it’ll start to show rust signs in only two to three years. It is worth spending a few hundred dollars annually and takes this added insurance measure to maintain the resale/trade-in value and the appearance of your vehicle. 2. Sealants -These are “one-time” rust inhibiting application which contains polymers, tar or wax. Sealants form a protective barrier against harsh elements such as winter salt. Unlike light oil sprays, they sealants can’t creep deep into the metal folds and joints of a vehicle where rust often starts. In most cases, sealant treatments are available through car dealerships. They’re effective if you apply them to a clean and dry vehicle. However, you’ll incur higher upfront cost compared to the oil sprays. Also, annual inspection of the sealant application must be carried out and possible touch-up (often an extra fee) to maintain its warranty. You may not want to salt your driveway for sure-footed safety, but winter salt will drop off your vehicle and stain, crack and deteriorate your parking surface. To protect your driveway against winter salt, apply a high gloss clear sealer for interlocking brick and concrete, and a commercial grade sealer (oil and petroleum base) such as Black Mac for asphalt driveways. These products will form a protection barrier on your driveway surface thus reducing the adverse effects of ice melters. You only need to treat your driveway once a year to maintain maximum longevity and appearance. Our doctors advise us to regulate our salt intake. Apply the same advice when spreading ice melters and winter salt on your walkways and driveways. There is always a disclaimer on the bag of an ice melter. Read that, and you will understand what we mean. Ice melting salt containing calcium chloride (CaCl) are the most efficient since it requires less product and works at lower temperatures compared to the rock salt which contains sodium chloride (NaCl). Both types are available at retail shops. Calcium chloride ice melter will cost you more cash than the rock salt. However, it requires less product to be effective. Municipalities mainly apply rock salt on our roads since it is very cost-effective considering the volume needed to keep the roads safe for driving during winter. Salt is the best ice melter. Sand can provide traction; it doesn’t melt ice. More environmentally friendly options such beat juice, urea, and potassium chloride (potash) are much more costly and less efficient than rock salt. Heated driveways eliminate the need for ice melters, but this will require an enormous amount of cash. We are experiencing another harsh Canadian winter. All motorists should develop measures of protecting their cars to endure high amounts of winter salt spread on the roads. Most Canadians dread winter. The driveway cracks and the appearance of rust on our vehicles show the level of damage that winter can cause. No matter the techniques you employ to protect your driveway and car from harsh winter salt, be proactive. The tips we have provided in this article will help you prepare your vehicle to endure harsh winter conditions and maintain the good appearance and its durability.